South Africa is divided into nine provinces. Each of the provinces of South Africa has its own legislature, premier and executive council. 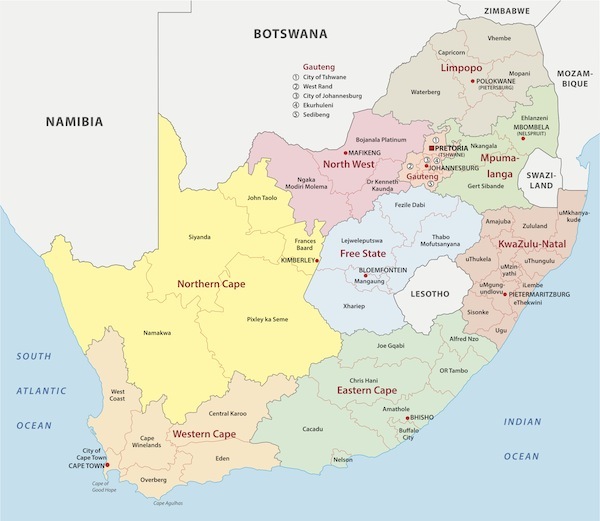 The nine provinces were formed in 1994 and are all divided into districts consisting of either metropolitan or district municipalities as you will see on the map of the South African provinces below. Pretoria in Gauteng, marked with a red square on this map, is usually referred to as the capital city of South Africa. The country, however, has in fact three capitals: The administrative capital is Pretoria in Gauteng, the legislative capital is Cape Town in the Western Cape and Bloemfontein in the Free State is the judicial capital. The nine provinces of South Africa are listed below with data regarding to area share and population share of the country. Also the provincial capitals and population figures are listed. If you click on the underlined province's name, you will find more info about the province as well. 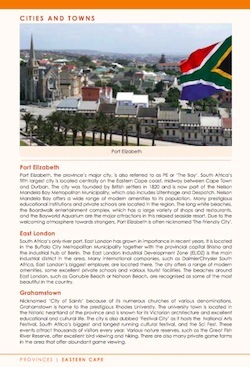 In the 'Living in South Africa' book you will find comprehensive information on each province. 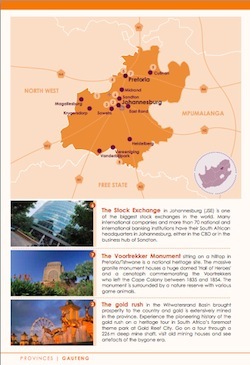 Below we will show you how our 'Provinces of South Africa' chapter is structured. To the right, you can view an excerpt from the 'Living in South Africa' book. 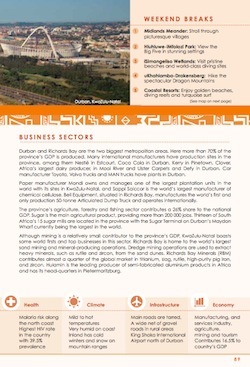 This is the first of the six pages on the Northern Cape province. 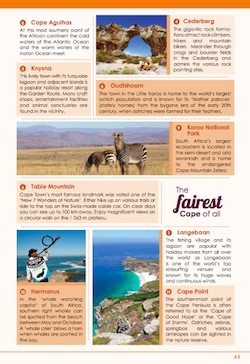 Below you can view four page formats with information on some of the South African provinces. 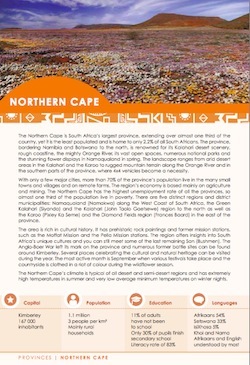 We have included excerpts from the KwaZulu-Natal, Gauteng, Western Cape and Eastern Cape provinces. Do you want to read more about these provinces of South Africa? Are you interested in more in-depth, well-researched and up-to-date information? 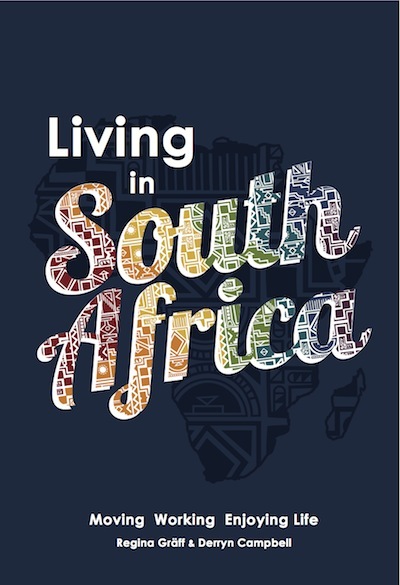 Then order your copy of the Living in South Africa guidebook directly form us. Simply click on the button below and find relevant information how and where to buy the book.